A couple of weeks ago, I asked for your help to buy a wheelchair for Noah in lieu of gifts for our new baby boy. 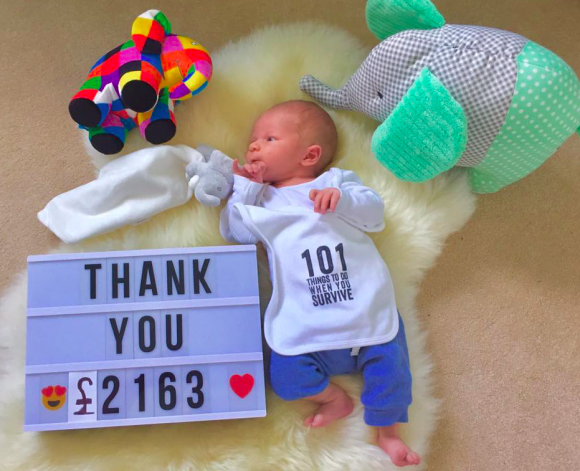 So this little guy wanted to say a huge thank you to everyone who helped buy Noah that life changing wheelchair. We needed £1500 to add to the money Butterfly Children’s Hospice had already raised and thanks to all of you and the amazing community at 52 Lives we raised an astonishing £2163…..in just over 24hours. Absolutely Amazing! 100% of that goes straight to buying Noah his wheelchair and the rest will go to helping the other children at Butterfly Children’s hospices. I recognised so many 101 names on the donation page and we can’t thank you enough. This is without doubt the best birthday present Joseph could have wished for. I hope we can take him to China one day to meet his buddy Noah and the rest of the butterflies. It is a truly wonderful charity that helps sick and abandoned children have the love and support that they deserve. Much love and thanks gang. You are wonderful and I am so incredibly proud to be part of this community. Noah’s wheelchair is being fitted as I type and I’ll share a pic of him and his new wheels very soon!